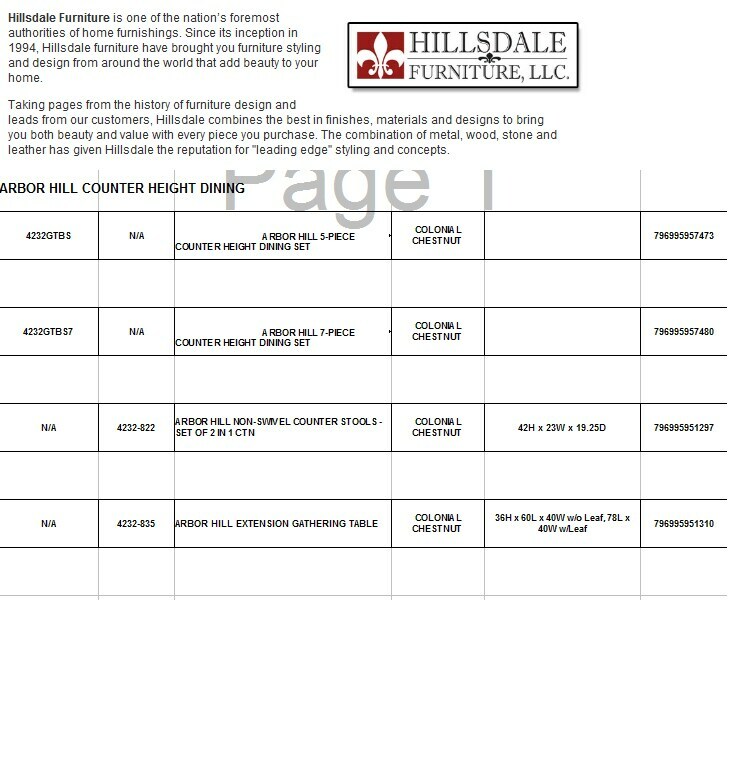 Charm the guests with Hillsdale Furniture s Arbor Hill Counter Height Dining Collection. Too modern to be country but too rustic to be contemporary, with a classic mission styled non-swivel stool and an unusual symmetrically sculpted table base, the Arbor Hill is a perfect blend of cozy and chic. Featuring a rich colonial chestnut finish, oil-rubbed bronze decorative accents, versatile and comfortable brown leather waterfall seats and a butterfly leaf extension table, this ensemble will become the dining and entertainment center in the home.